For starters, WordPress may not even be the way to go. Check out Tom Ewer’s post on whether or not WordPress is the best option for building a community website if you’re still unsure of how you’ll be building your site. If you’re certain WordPress is the best option for you, your next step is to determine which type of community website you want to build. You can build a forum, a place where your audience can submit their own blog posts, or a full-fledged social network complete with user profiles and messaging features. Once you decide which type of community you’d like to build, decide which plugin you want to use. We list a few suggestions throughout this post. Your main focus should be to create an environment where your users can connect with one another in an easy manner without having to jump through hoops. It should have a clear direction of what users are supposed to be doing on the site, which varies depending on what type of community website you choose to build. Each type serves its own individual purpose, but they’re all alike given they each encourage members of your community to interact with one another, which then encourages them to interact with your brand. However, each one gets your community to interact with your brand in different ways, so it’s important for you to choose carefully before going forward. With that said, let’s take a moment to go over what each of these types consist of. It’s also a great way to have your community discuss topics related to your niche. For example, a site that sells courses on web design might have a forum where people discuss the latest advancements in web design and the projects they’re working on. The anatomy of a great forum includes well-organized parent forums revolving around the most important topics of your niche, ease of use and a great moderating team to oversee the forum’s events and topics. A well-designed forum plugin makes it easy for you to implement this type community without having to mess with custom code or build anything from scratch. A few suggestions of powerful forum plugins are listed below. A forum is one of the most popular ways to build a community, but you can achieve a similar goal by having your community submit their own blog posts on your site. Forums are great for individual discussions or discussions on specific topics, but community blogs give audiences chances to have their opinions heard in more elegant ways. A community blog is essentially a blog filled with user-generated content. Again, content is king, but publishing blog posts on a regular basis takes a lot of work and time, time you may not have. Having your audience fill in the gaps is a great way to keep the rest of your audience engaged without requiring you to put in any extra work or time. What types of content should your community produce? That depends. If you sell a product, have your audience publish blog posts describing how your product helped them and what it helped them produce. If you publish tutorials, have your community share their own tips and expertise. Your own blog posts are meant to attract new customers and inspire them to use your products to create something or do something amazing, so why not let them build on that with their own content? Community blogs create a great way for them to do just that. Social networks go a few steps beyond forums. They allow your audience to interact with one another through individual discussions, but they also allow them to create their own social profiles where they can build friends lists and message other members of the community privately. Social networks also allow members of your community to form different groups, which are basically mini communities inside of your main community. This may not sound as useful as a forum or community blog, but it does give you the chance to show your community you care about them by giving them a few additional ways to interact. If you want more information on how to create a social network with WordPress, check out Brenda Barron’s post on the subject. Plugins are the easiest ways to go when it comes to building community websites with WordPress, as is true with building anything with WordPress. However, as Tom explained in the post mentioned earlier, this might lead to you building your community website outside of WordPress. bbPress and BuddyPress are the top two plugins you’ll see suggested whenever the topic of building communities with WordPress comes up. They’re powerful plugins that enable you to build forums and social networks with a few simple clicks, but they may not have everything you need. Let’s go over a few plugins you can install to build forums, community blogs and social networks with WordPress. bbPress is a forum plugin developed by Automattic, the team behind WordPress. It allows you to add a simple forum to your website by adding ‘Participant’ as a new WordPress user role and having participants assigned to this role create topics on your forum. There are hundreds of extensions available for bbPress, but these are the basic features that come with this plugin. BuddyPress works best when used as a social network software. It used to be recommended for forums, but you’re now recommended to install bbPress alongside BuddyPress if you’d like to integrate a forum software on your site. BuddyPress allows your community to create their own profiles, private message each other, form groups and interact with each other in ways that go above and beyond what’s possible in your site’s comment section or forums. WP Symposium Pro is a powerful social network plugin that allows you to build a community filled with social profiles for members, friends lists, private messages and groups your users can create themselves. You can also create an unlimited number of forums complete with attachments, YouTube videos, different layouts and more. User Submitted Posts is a simple yet powerful plugin that lets you add forms to posts and pages where members of your community can post their own blog posts through the frontend of your site. 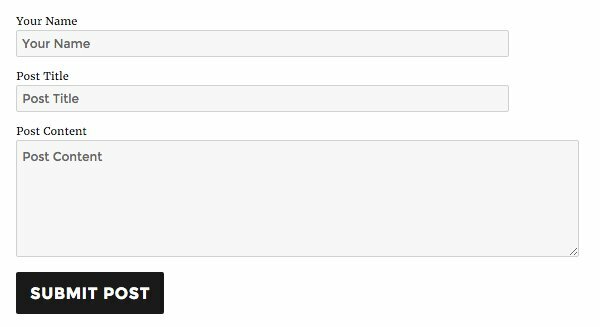 The plugin works through a shortcode you insert in a post or page that creates a form your members can use to submit their posts. This form has fields for the user’s name, the title of their post, the post itself, and even post tags. This plugin allows users to submit posts through the frontend of your site, negating the need for you to invite them to use the backend of your site. They can also edit their own profiles, though it’s not as powerful of a social network plugin as BuddyPress or WP Symposium Pro. PeepSo is a new social network plugin that comes with a number of different features that make it fantastic for building a community website. This includes user profiles and private messaging features, but it also includes things like widgets that display your users’ photos and friends. The developers published the plugin as an alternative to the current selection of social network plugins. This alternative is meant to be lightweight with a deep focus on style and design. There’s still a lot of work that needs to be done after you install your plugin. If you’re building a forum, the most popular type of community, you need to decide what types of parent and child forums you’ll have. For example, if I were building a sports forum, I may have a different parent forum for each individual sport and a child forum for each individual league associated with that sport. This is how you should approach the organization of your forums. Decide what the most popular topics or categories of your niche are, and assign them as parent forums. This makes it easy for users to find forums where they can create topics on things they’re interested in discussing. Take things a step further with each topic or category you come up with, and create sub-categories as child forums for the main ones you created. Again, make sure they’re all relevant to your niche. The goal is to make it as simple as possible for your users to create new topics. After you select which type of community website you’d like to build and which plugin you’d like to use to build it, you need to find members of your community you feel have proven themselves worthy of contributing more. By more, I mean becoming a moderator for your community, which is someone who monitors forums and community blogs to make sure everyone is behaving. They’re also there to keep your forums and blogs active when you’re unable to do so yourself. If you have an active blog, consider asking your top commenters if they’d like to become a moderator for your community website. If you decide to go with the community blog route, you’ll need a plan to keep things focused and uniform with the rest of the site or your own blog posts. Make sure you explain your post guidelines on a page of your site, and link to that page near the submission form for user-generated posts. You can allow your users to write posts on any topic related to your niche, or you can start a campaign. Maybe have your community describe their best story related to your niche, or create challenges for them to blog about. Asking them to blog about anything is fine, but encouraging them to participate with campaigns and challenges is even better and will net you more focused contributions. BuddyPress is arguably the most popular social network plugin for WordPress. This plugin is powerful and is jam-packed with features, but its popularity continues to rise due to the number of themes compatible with it, ensuring you don’t need to sacrifice style for functionality. When you use these types of plugins to turn a WordPress site into a social network, you need to keep in mind that user experience is still very important even though you have little control over it when it comes to plugins. In the case of BuddyPress, make sure you create a custom menu that makes it simple for users to navigate your site and their individual profiles. You can also encourage your users to converse with each other privately in a number of different ways, from PMs to group chats. Groups are private, and discussions are only accessible by members of the same group. If we use the sports community website example, we can start different groups for individual teams or players. You get the idea. Building a successful community website with WordPress starts with strategic planning, which all starts with knowing what type of community your website and brand needs. If you already have a website with an active following, don’t be afraid to ask your community how they would like to interact with your site. Once you determine what type of community you need, you’ll find it much easier to select a plugin. Then you can determine what sort of help you’ll need to keep your community active and well-behaved. Have you ever built a community website with WordPress? What plugin(s) did you use? Feel free to share below! This was very informative, thank you. Can’t wait to hear your thoughts on a community marketplace plugin. Hey Pedro, I’m Paul from PeepSo. I just wanted to mention that groups is coming up soon. We needed to put a few things in place like custom profile fields and some other logic to allow seamless integration for groups. We know a lot of people are waiting for it so it’s a high priority for us. Great article here and lots of helpful information. Just checked out PeepSo, and it looks like a very promising plugin, could be profitable as this is becoming a big hit with Companies internally. Where I work we use a program called Jiveon software, but these are awesome solutions for WordPress. Going to have to share this article with some Arizona WordPress folks. Thank you for a high quality and very informative article. Have you tried Kleo in CodeCanyon? I remember checking that theme out a while back. If I remember correctly it has a lot of nice page templates specifically for buddypress. Lovely post though. But how can we know the hosting plan to use, update to take, if we can add it o a multisite, management of profiles and scale it to the very community niche we intend? And mind you, seems Divi and BuddyPress are not in good marriage or that ET decided not to design and optimize Divi/Extra and his array of other old themes for BuddyPress. I’ve been there before and the design styling is just basic (default) unlike other themes that support the community plugin. Hey bb, you ask some good questions. Unfortunately I think the scope of those answers goes beyond a mere article. More like a book or ecourse. Which, by the way, we might create in the future. But for now I think getting into the nitty gritty of what to do in specific use cases will have to wait. Since it’s somewhat related to this post: Is there ever going to be a chance that Divi is going to be compatible with buddypress? I did set up a buddypress site on Divi once and it was a real pain; I had to manually change a million templates to make it look just OK and making it look good was even more work. I believe there have been some improvements in buddypress compatibility since Divi’s early days. You can double-check the changelogs to be sure. Good read, never knew about some of these plugins, I will have to try some of them out. Thanks for the post. We have a community website coming up soon and are looking for something to use with the Divi builder. Does Divi or sitebuilder have a community blog component? Please tell me yes. No, unfortunately there is not “community blog module” at present. That might be something we should look at tackling in the future though. You can however set it up so that different authors have their own user permissions and categories. Especially with all of the flexibility in how you display things in EXTRA you may find you don’t need anything else. Nicely explained article about WP community site design and its really helpful for WordPress website designers/ developers. Very useful. Can you recommend the best wordpress theme for creating community website? From that, I used Anspress questions and answers to make a biblical q&a site. People are actually starting to love it, so I thank you guys for the recommendation. You all are really a great help. Woow Awesome post. This is really helpfull for me. 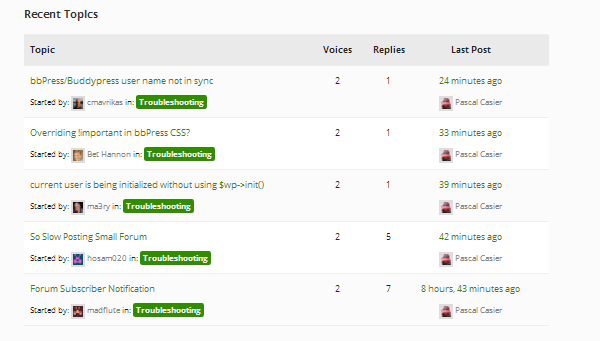 bbPress and Buddy press are really the best plugins to make a community wordpress site. You made my day. I just loved this article. You helped me alot so I just wanna say thanks to you. I’ll definitely gonna bookmark your blog. thank you for your efforts, but this is pretty sketchy/fluffy. not what i’m used to from this blog? After building numerous community websites, including those sponsored by the federal government, my advice can be summed up in the following steps. Excellent, this article is what I needed. i’l give a try to both : User Submitted Posts & WP User Frontend. Thank you very much Lyn !! Is there a way to make Buddypress SEO friendly. Yoast WordPress SEO is not compatible with Buddypress. I’m very new to the website thing. So everything is new to me. I used Buddypress for an online community a few years ago and definitely recommend it. It had some excellent features and was easy to integrate with my theme. Nice article. Good plugins here to try out to start a community site. I used Pligg CMS once. But because of large amounts of spam and lack of flexibility, I deleted it. Stunning Article! Just what i was looking for. I was so unsure about what to do on my blog and this pushed me in the right direction. Now i know what direction i need to head in! Thanks so Much! !